India is a famous tourist destination because of its enormous culture and heritage which is admired throughout the world. It has tremendous options for tourism. There are hill-stations, temples, valleys, plains, wild life sanctuaries and beaches. Beach tourism attracts a number of travelers from all over the world and provides them a luminous occasion to delight in sun, sand and surf tourism at their diverse scenic beach destinations like Goa, Kerala, Andaman & Nicobar, etc. With a beautiful pleasing view of major Indian travel beaches, one can recharge himself/herself while touring with a lot of reminiscences that give the true spirit of the implausible beauty of India. Tourists get pleasure from life on the sea shores in India to catch waves bellow, gossips with the nature and practicing the sports and enjoy the appetizing dishes that are actually amazing. No doubt talked beaches of Goa in India top the list among the popular beach travel destination in India, and the reason behind this is that the beaches there are sanctified with natural aquatic life. Sky blue water with silent natural magnificence attracts tourists to its shores all over the world. The perfect place for fun and frolic in the nature is the Golden sand in the golden rays of Goa. Certainly there are a number of beaches like Anjuna, Goa Bambolim, Colva, Mobor, Palolem, Arpora, Baga etc. Baga Beach offers an immense relief to the tourists from their busy life schedule. One can enjoy here the peaceful beauty of the nature, refreshing air, palm and coconut within his heart satisfied. Colva is astonishing and attractive as it provides great sporting opportunities as Kayaking, fishing, speed boating and Jet Ski. It is highly recommended to get pleasure from the still water of Pololem that is attracting the crowds for ages. It is an ecstasy for swimmers and for those who love water sports. The beaches of Kerala are famous throughout the world and perhaps one of many beach destinations in India because some of the best beaches of India are in Kerala. Kovalam, Kumarakom, Alappuzha, Cherai, Varkala, Muzhappilangad, Kappad, Poovar, Shankhumugham and Thangassery are a few of the most striking beaches of Kerala, which offers a great moment for enjoying the peacefulness of living. Kovalam Beach consists of three neighboring crescent beaches. The southernmost beach is the most popular one, known as the Lighthouse beach. 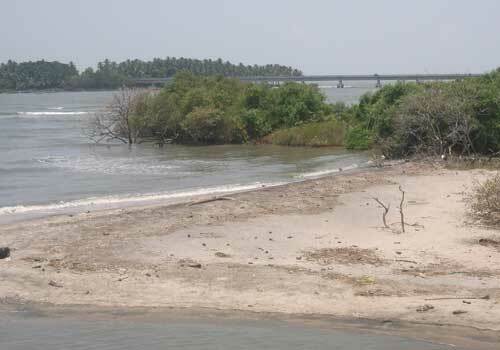 Poovar Beach is an unexplored island, enveloped by the most peaceful backwater, and breach out to the sea and a dream golden sand beach. Shankhumugham Beach is a preferred place for sunset spectators. 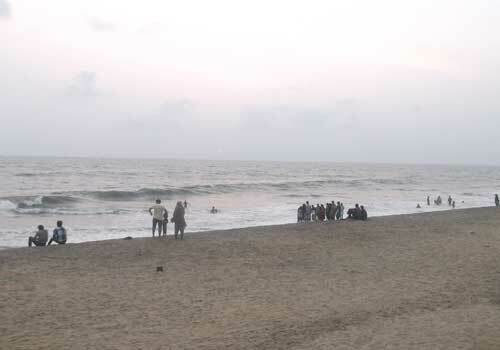 This exotic beach is neighboring Thiruvananthapuram airport as well as the popular tourist village Veli. Varkala beach is famous for it’s health resort and spa. It also happens to be a famous pilgrimage for Hindus. High cliffs with prosperous mineral springs rise royally from the shoreline. This place is famous for two reasons, one being the 2000 year old Sree Janardhana Swamy Temple and second being the Nature Care Centre. Cherai Beach bordering the Vypeen Island is a perfect beach for swimming freaks and best thing about it is that the Dolphins can be seen here, occasionally. Kappad Beach locally known as Kappakadavu is a historic beach because it is said that Vasco da Gama landed with his men. A charming attribute of the place is the rambling rocks that extend beyond the sea. Spectacle of a descending sun with reddish color in the garrulous water of the Arabian Sea is amazing to take a look at. These beaches in Mumbai help one take a soothing breathe and shed the tiredness after a day full of tourism. Some of the famous beaches here are Chowpatty, Juhu, Marine Drive, Versova, Manori and Gorai, Marvi and Manori.Chowpatty is located in locality of Marine Drive in the Girgaum vicinity of Mumbai. The beach is famous for Ganesh Chaturthi celebrations when hundreds of people assemble here to submerge the idols of Lord Ganesha in the sea. Juhu is the most eye-catching beach in Mumbai and it is popular for its implausible sunsets and delicious food. One can taste the Mumbai delight in delicacies like Bhel Puri, Pani Puri, Shev Puri, Chaat, and Pao Bhaji. A walk on Marine Drive is a pleasant means to revitalize ourselves in Mumbai. Energizing winds boost an individual after a day full of tiredness of hard work. It is winged by the sea and a chain of art deco buildings. Snuggled between the tangible jungle of Nariman Point and verdant slopes of Malabar hill, Marine Drive is strung with sparkling street lights. Versova Beach is located in Greater Mumbai and it is abode to Mumbai’s major fishing society. View of far-reaching Arabian Sea lunging on its sandy shore is impressive to look at. Cool sea breeze gives a pleasing relief from the filth of city life. One of the scenes to observe here is the morning time when fishermen are all set to endeavor into the sea to get their share of catches.Moreover, if fish suits the taste buds of the people, buying them is also an enormous shopping experience as well. Marve and Manori beach is located at half an hour from Mumbai. The beaches are valued for their picturesque views and fairly serene atmosphere when compared to other Mumbai beaches. The beaches are interlarded with some satisfactorily managed private cottages built on the background of the Arabian Sea. A Portuguese Church and a copse of cashew nut trees append to the loveliness of these beaches. Beaches of Andaman and Nicobar Islands are known for only one of its kind peacefulness and abundant natural beauty. The beaches here attract tourists with magnificent opening to benefit from adventurous activities as snorkeling, island camping and scuba diving. Hence, the alluring amalgamation of sun, sea and sand make the beaches in India a must visit destination. Beaches of India allow every individual to expend an ideal day out and discharge the adventure eagerness and freakishness through water sports. These beaches make the vacations extraordinary. So, plan to explore the beach tourism today as you would be able to discover some enthralling features of these beaches. This entry was posted in Destinations and tagged amazing beaches of india, beach vacation india, best beaches of india, best holiday beaches india, travel beaches of india. Bookmark the permalink.